On Monday 9th May I submitted my new book to my editors. Pressing Send on a submission draft is a special kind of heaven-and-hell experience – I always read the book through before I send it, and it’s never quite as good as I want it to be, so that’s hellish, but getting it away to my editors is the world’s biggest relief, and feeling that weight lift off your shoulders is heavenly. So I’m now a lot more relaxed than I was last month, but I’m still on deadline: I’m writing a short story for a Thing, which I can’t share with you right now, but it’s a Thing that will be a Good Thing. Can I tell you what the story is about? Uh, no, it is sekret. Can I get more annoyingly vague than that? No, I don’t think so. Either way, the story was due today, and I submitted it early! *fistpump* It’s now in editing stages, but it’s somehow not as daunting to be on deadline for a short story as it is to be on deadline for a whole book. I was at Tarneit Library on May 19th, with cool chicks from the Stella Program. I ran a creative writing workshop for teenagers from 4pm, and then spoke on a panel with Simmone Howell and Bec Kavanagh, talking about women writing place and crime. I had a ball – and wow, the students were eager and responsive and wonderful, so good on you, Tarneit! 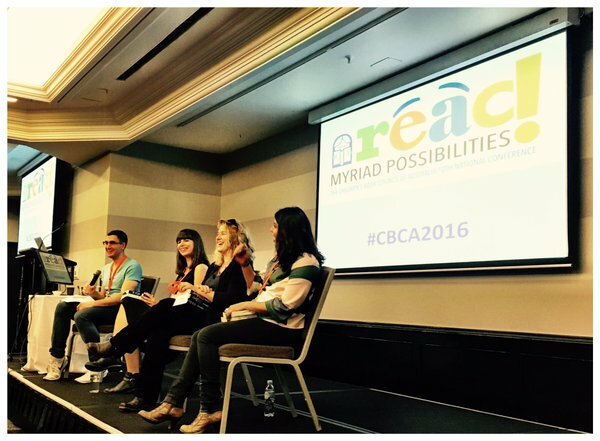 On Saturday May 21st, I was at the Children’s Book Council of Australia conference for 2016. The theme was Myriad Possibilities, and it was a bit of a crazy day – I flew into Sydney, got lost on the train system with Melissa Keil (and what is going on in with all the construction in the CBD, Sydney peeps? That was insane), was rescued by Will Kostakis (nice one, Will! ), met up with Gabrielle Tozer (wee!) and rushed into a few bookshops to sign copies – if you’re keen for an autographed copy of my books, or of Will’s or Melissa’s or Gab’s books, do drop in to Dymocks CBD, or Kinokuniya! Then we raced back to the conference, just in time to jump up onto the stage for a panel on YA. 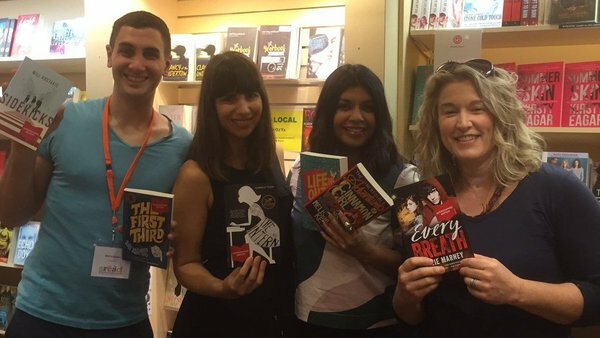 We talked about diversity in YA, the influence of #LoveOzYA and overseas trends, and suggested some of the things that librarians and teachers can do to fire up their students about local YA stories. We also touched on the gap between what publishers and gatekeepers like to stock on shelves and what teenagers like to read, how the proposed changes to industry legislation sound ominous for local stories, and a whole lot more – it was an exciting panel, and I hope I gave you a wave if you were in the audience! I was at Castlemaine Secondary College on Thursday May 26th, where I had morning tea with the awesome students who are involved in the CSC book club and helped launched the new CSC library bookclub site – our host was Amazing Librarian and All-round Fantastic Human Being Andrea McDonald, who laid on food and prizes for participating students (and the party pies disappeared before I even got a whiff of them, let me tell you) . Today (Wednesday 1st ) I’ll be in Bendigo for the Latrobe Bendigo Story Slams workshops with Cate Kennedy, Simmone Howell, John Charalambous, and Nathan Curnow, running creative writing workshops for teenagers. I’m also teaching a lot this month and next – I’m relieving a teacher on leave at my sons’ school, and then in July, I’ll be in Coonabarabran for some exciting festival goodness! What’s bugging me is pretty much what’s bugging every creative in Australia right now: Australia Council grants info was released a short while ago, and as a result of the current federal government’s appalling lack of interest and investment in a long-term future for the arts, 62 organisations – some of them long-standing, vibrant community members – have been denied funding. Meanjin, one of the country’s longest-running literary journals, the Emerging Writers Festival, and Express Media – which runs Voiceworks magazine and the John Marsden prize and is the only organisation of its type for young writers – were amongst the victims of the cuts. While lots of worthy organisations and artists did receive funding, there are no real ‘winners’ in the arts industry in the current political climate. I’m really angry about it, and also incredibly saddened, and nervous about what the future holds for the arts community in Australia. I’m also ticked off because, in almost the same breath, we’ve had to deal with the news that the government is considering introducing new legislation to halt the current parallel importation restrictions in Australia. There’s also been a lot of talk about changing the current copyright provisions, which would be devastating for our local story industry. Parallel importation would knock a few bucks off the cost of books, but would probably signal the death knell for Australia’s literary and publishing ecosystem – it would mean that booksellers could import cheap copies of my book from overseas, bypassing local publishers and distributors, and returning no royalties to me, the author. If you’re not sure how it all works, check out this article by Jay Kristoff (I reckon he’s pretty much nailed it), and keep in mind what happened when PIR was removed in New Zealand (spoiler: the NZ publishing industry died). Copyright changes, if they were introduced, would mean that any book I publish today will only be mine for 15-25 years (depending on what the government decides) – after that, it would be open slather on the rights to work that I’ve put my blood, sweat and tears into. It would mean that, while I could build a house today and watch its value appreciate as I get older, and even bequeath it to my kids, my books (and the meagre income I make from them) would be stripped from me in my old age. You can read about what Jackie French (Diary of a Wombat) thinks about this here. So yeah, lots of things bugging me right now, and they should be bugging you too, if you want to keep seeing local stories on bookshelves. If you’d like to throw your support behind writers in this country, I urge you to sign the petition against parallel importation here, and protest the proposed changes to copyright law. Ah, now we get to the nice stuff – and thank you to Jess Broadbent for suggesting this tag! I’m looking forward to visiting Coonabarabran in July, and then I’m really looking forward to getting together with a bunch of amazing writers very soon afterwards for a weekend retreat. Much writing will be done, and news will be shared, and shop-talk will happen. I can’t tell you what it means to be able to spend time working together as a group – it’s incredible, and refreshing, and I always learn so much! The discussion post for CLANCY has also gone up, so check it out if you’re interested, and you’re welcome to post a comment about the book and your feelings about it. You should also feel free to sign up to bookclub, if you want – we’re reading a book a month, and it’s all OzYA, so if that floats your boat, come aboard on the FB page. A Court of Thorns and Roses (Sarah J. Maass) is on my reading list this month, along with Night Beach, which is an early book of Kirsty Eagar’s (her most recent work is Summer Skin). I’m reading ACOTAR to stay current – it’s been a big-selling book, both here and in the States/Canada, and I like to keep up with what’s out. 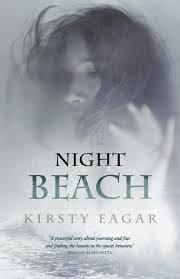 And as for Night Beach– I’ve read it before, but I love it, and I think it deserves more love. I also wanted to see how Kirsty had actually achieved one aspect: that feeling of dread and heightened sexual tension that the book is filled with. I’m trying to learn some craft tips, in other words. Whenever I’m writing, I always find that problems of craft are best solved by reaching for other people’s books. I learn a lot from reading how others have done it before me, and comparing my style, and figuring out how I might make some aspect of craft my own. 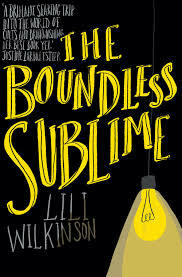 In fact, I’ll probably learn a lot from reading Lili Wilkinson’s new book, The Boundless Sublime – to my delight, I managed to wangle a review copy at the CBCA conference. I’m fascinated by the subject matter – cults – and Lili’s last book, Green Valentine, was lovely. This month, I’ve already finished A Single Stone by Meg McKinley – it’s a CBCA Book of the Year shortlistee, and I had heard great things, which certainly wasn’t setting the bar too high. It was a wonderful book, with raw, poetic prose, and like The Boundless Sublime, it covers themes that are interesting to me right now, including isolated communities and extremism. I also read Everything Everything by Nicola Yoon, which was delightful and romantic and incredibly intense, in places, and – oh my god – In the Skin of a Monster by Kathryn Barker, which was excellent – another CBCA book, and one I highly recommend you get your hands on. 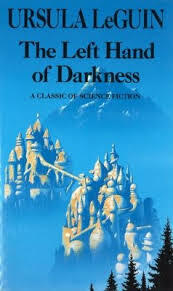 Finally – for years, I’ve berated myself for not yet reading The Left Hand of Darkness by Ursula Le Guin and now I’ve finally read it, and my god, it was extraordinary on every level. World-building, depth, vigorous language, fascinating subject matter…seriously, I could go on and on. For such a slim volume, it kicks you right in the guts – if you haven’t read it, do yourself a favour.